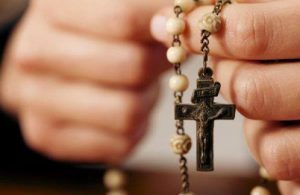 The Knights of Columbus have a long standing devotion to our Blessed Mother and praying the Rosary. Knights Call is a new program initiated by our Knights of Columbus Council to provide spiritual comfort to parishioners and their families in hospice, critical care, or as shut-ins by two-man teams who visit to pray the Rosary. Each team carries extra Rosaries and prayer cards to encourage those family members in attendance to join with them. To arrange a Knights Call or to learn more, please contact the parish office at 770-394-3896 or email knightscall@judeatl.com.